This Popup Marquee warranty is provided in addition to other rights and remedies as set out below at 'Consumer Guarantees'. In all cases the Popup Marquee Warranty excludes normal wear and tear, wind damage, hail or storm damage, commercial use of Domestic Products, use of unreasonable force, failure of reasonable care, failure of maintenance, inadequate or incorrect installation, failure to collapse and secure the product prior to a storm or high-wind event and incorrect assembly by the customer. 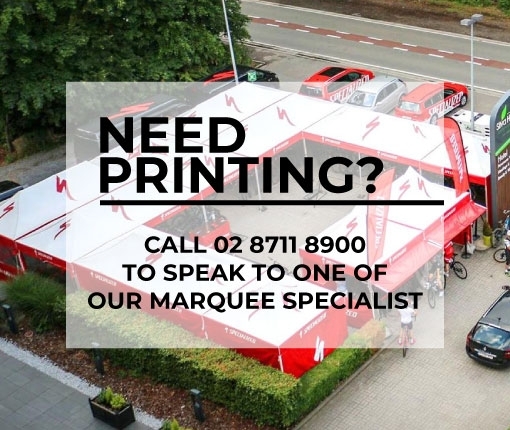 The Popup Marquee Warranty applies only to the original purchaser from the purchase date, and only covers (subject to the terms set out below) manufacturing faults or defects which occur in normal use. Products that are sold for domestic use are not warranted for commercial usage. Popup Marquees and other tents sold through this business are NOT intended for use in permanent installations or for use in strong winds. Usage of these products in these situations will void warranty claims. Damage caused by incorrect operation of the product including but not limited to, pinching of the fabric by the arms when closing is not considered a warranty claim. Popup Marquee states that when collapsing a Popup Marquee that the canopy be removed before collapsing the frame. The canopy should be carefully folded and stored safely and separate from the frame. Canopies left on when the frame is collapsed can be damaged, creased or pinched which is considered as incorrect operation of the product and thus not warranted. All products sold require regular maintenance by the purchaser. This will include checking all fittings and fixtures on a regular basis to ensure that they have not come lose or have undue suffered wear. Products that are deemed to have failed due to lack of regular, routine maintenance may not be considered as a warranty claim. These warranties are clearly stated on our website and in our product literature. If a warranty claim is made, the claim may initially be made with Popup Marquee but the actual honouring or otherwise of the warranty will be made by the manufacturer and not by Shade Australia. Different fabrics have different warranty periods and properties. Warranties terms for individual products are clearly displayed on individual product pages. Where a claim is made pursuant to the Warranty, Popup Marquee may, at its discretion repair, refinish, or replace with a similar product or refund the product. Only the failed item will be replaced, not the complete unit. The Popup Marquee Warranty period is not extended in the event of a replacement. It is the responsibility of the purchaser to return at their cost the damaged item. If the customer prefers not to return the item, and a part does fail due to workmanship or some other reason not associated with incorrect usage, Popup Marquee will provide a replacement part. This part will be delivered to the customer for them to replace themselves. The cost of shipping the replacement part to the customer will be borne by the customer, not Popup Marquee. Where warranties for fabrics are extended, there must at all times be considered as Pro Rata Warranties. In the event of a Warranty Claim, please return the item to the store where purchased, with the original tax invoice. If the retailer cannot accept the return of the product, please return to the address listed on this website. For residents outside of Sydney, phone Popup Marquee on the number listed. Where the item is returned the purchaser must include the original tax invoice. The purchaser must also bear all costs associated with shipping the product to Popup Marquee and the return freight. The purchaser must also provide details of the problem with the product (such details must be sufficient for Popup Marquee to determine whether a Warranty applies). Our goods come with a guarantee that cannot be excluded under the Australia Consumer Law (ACL). Such guarantees may include the right to remedy Popup Marquee if our products are not of acceptable quality or do not match any demonstration model or sample (as those terms are defined in the Competition and Consumer Act 2010 (Cth) (CCA)). Shade Australia will not be liable for any act, default, omission or representation made by any person other than employees, alterations made to the products not performed by us, damage or defects due to unusual or non-recommended use, or damage or loss caused by any factors beyond our control. You are entitled to a replacement or refund for a major failure (as the term is defined in the CCA) and for compensation for any other reasonably foreseeable loss or damage. You are entitled to have the goods repaired or replaced if the goods fail to be of acceptable quality and the failure does not amount to a major failure. Shade Australia's total liability in respect of a claim by a consumer under the CCA for a minor problem (as defined in the CCA) with a product is limited, at our option to, providing the consumer with a refund, replacement product or repairing the product. Subject to the above paragraphs, all express or implied representations, conditions, statutory guarantees, warranties and provisions (whether based on the statue, common law or otherwise), relating to this warranty, that are not contained in it, are excluded to the fullest extent permitted by law. Nothing in this warranty excludes, restricts or modifies any condition, warranty, statutory guarantee, right to remedy, implied or imposed by common law, statute or regulation, which cannot be lawfully excluded, restricted or modified.